The skin is the set of CSS styles that apply to the menu to give it a particular look, mainly background and font colors. The Pro version includes 20 skins that you can choose from out of the box. 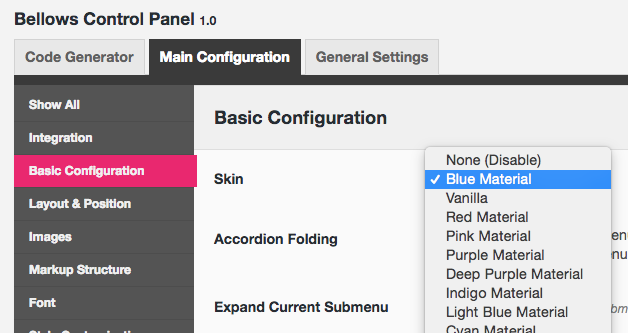 You can also change this setting via the Customizer to preview the look before applying it to your site. You can also customize the skins via the Customizer.